Regular readers know that I have lost three family members to Alzheimer’s Disease and/or dementia. So, anything having to do with those afflictions I find relevant. Brain scientist Owen Carmichael is preparing for his Alzheimer’s diagnosis. And for his children’s Alzheimer’s diagnosis. And he’s asking an important question: Can we use basic health tools to train our brain to resist the effects of the disease? DR. OWEN CARMICHAEL has a Ph.D. in robotics and a passion for brain science. Owen is an associate professor and the Director of Biomedical Imaging at the Pennington Biomedical Research Center. He uses technology not only to better understand how the wiring of your brain affects your ability to think, but also how your actions and your environment can affect the wiring of the brain. In other words: are we able to set ourselves up to be mentally healthy throughout our lives, or are we destined for our brains to turn our lives one way or another? Owen has been studying these questions for years. To what extent is dementia preventable? Regular readers know that my family has a history of Alzheimer’s Disease and/or dementia. This is true on both my mother’s and father’s side. So, at 77, I am totally focused on anything that relates to these mental conditions. The following is from the Keck School of Medicine at USC by Erica Rheinschild. Experts say that one-third of the world’s dementia cases could be prevented by managing lifestyle factors such as hearing loss, hypertension and depression. Regular readers know that I have had a number of Alzheimer’s and dementia occurrences in my immediate family. So, I am especially sensitive to anything related to dementia. The following is from Heidi Godman, Exetutive Editor, Harvard Health Letter. We use the term “dementia” to describe a number of conditions that cause permanent thinking skills changes, such as memory loss and confusion. The most common kind of dementia is Alzheimer’s disease, which is characterized by clumping proteins that get tangled in and around brain cells, eventually causing them to die. The second most common type of dementia is vascular dementia, caused by decreased blood flow to the brain from atherosclerosis—the accumulation of fatty deposits on artery walls. Regular readers know that my family has suffered at least one case of Alzheimer’s and one or two of general dementia. I think it is fair to say that mental illness damages the entire family either directly or indirectly. It also has implications on individuals’ future mental health. Harvard Medical School offers some fine counseling on the subject. Studies of family history say that if you have a close relative who has been diagnosed with Alzheimer’s disease—the most common form of dementia in older adults—your risk increases by about 30%. This is a relative risk increase, meaning a 30% hike in your existing risk. New research suggests that extra-virgin olive oil – a key component of the Mediterranean diet – may protect the brain from Alzheimer’s disease symptoms. Mouse experiments revealed changes in both cognitive performance and the appearance of nerve cells. Alzheimer’s disease is estimated to affect approximately 5 million people in the United States. The neurodegenerative disease is progressive and cannot yet be cured or reversed. But new research moves closer to a prevention – and potentially reversing – strategy, by studying the effects of extra-virgin olive oil on the cognitive performance and brain health of mice. The new study – published in the journal Annals of Clinical and Translational Neurology – was carried out by a team of researchers from the Lewis Katz School of Medicine at Temple University (LKSOM) in Philadelphia, PA.
Lead investigator Dr. Domenico Praticò – a professor in the departments of Pharmacology and Microbiology and the Center for Translational Medicine at LKSOM – explains why several studies have singled out olive oil and hailed it as the main reason why the Mediterranean diet is linked to so many health benefits. As a person who has lost three family members to dementia or Alzheimer’s Disease, this new information on the subject knocked me out. 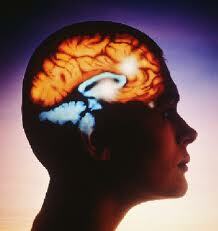 Please see my Page – Important facts about your brain (and exercise benefits) for more. 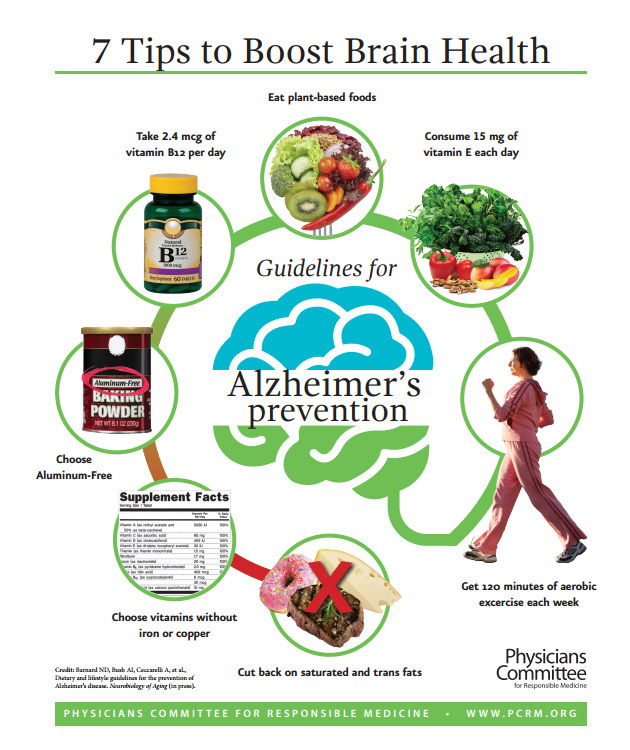 There are some excellent tips here on boosting brain health. As regular readers know, I have both Alzheimer’s and dementia in my family, so anything professing to boost my brain health is music to my ears. I was impressed with the insights on vitamins with iron and copper, also the suggestion to avoid aluminum cookware and products that contain aluminum. Naturally, the suggestion to exercise for 120 minutes each week was also good to read. I have written a Page on the brain and exercise which I urge you to read – Important Facts About Your Brain (and Exercise Benefits). Lastly, I have to take issue with the first suggestion about avoiding coconut oil among other saturated fats. Coconut oil is actually a terrifically healthy fat which I have integrated into my daily diet, not only with no ill effects, but very positive ones, including superb cholesterol readings. I am 75 years old and start every day with a tablespoon of coconut oil and peanut butter. I ride my bicycle an average of nearly 20 miles a day year ’round here in Chicago. Here is my Page – Coconut Oil -Why You Should Include it in Your Diet. Please read that before deciding to follow the doctors’ suggestion on avoiding it. 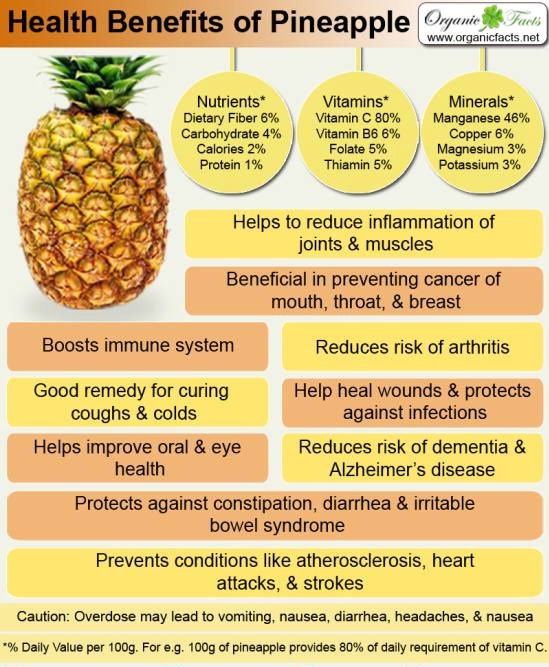 One of the most celebrated uses of pineapple in terms of health is its ability to reduce the inflammation of joints and muscles, particularly those associated with arthritis, a truly debilitating disease that affects millions of people around the world. As a long time arthritis (hands) sufferer, I drink pineapple juice daily. It’s nice to see all the benefits of this tasty fruit. Pineapples contain a relatively rare proteolytic enzyme called bromelain, which is primarily associated with breaking down complex proteins, but it also has serious anti-inflammatory effects, and has been positively correlated with reducing the signs and symptoms of arthritis in many test subjects. “Vitamin D deficiency is a common, serious medical condition that significantly affects the health and well-being of older adults,” said Sue Penckofer, PhD, RN, study author and full professor, MNSON. Regular readers know that I feel strongly about brain health and development as I have both Alzheimer’s and dementia in my family. Check out my Page – Important Facts About Your Brain for more.